News that Apple had pulled the Blockchain.info app from its App Store broke in the early hours of this morning (UK-time) and the short-term effect seemed to be a dip in the price of bitcoin. At midnight (GMT), the price was $822. Some 15 minutes later, Blockchain tweeted its response to Apple’s decision and, over the course of the next hour, the bitcoin price fell to $793. By 08:30, the price had fallen to $783.04, the lowest it has been since 2nd January. At the time of writing, the price is back up to $802, but this is still 8% lower than yesterday’s high of $874. Nic Cary, CEO of Blockchain agreed, adding that any time significant news breaks about bitcoin, the price moves one way or the other. However, he doesn’t consider the latest price drop to be an issue. “Bitcoin is extremely resilient. I’m confident the price will rebound quickly. 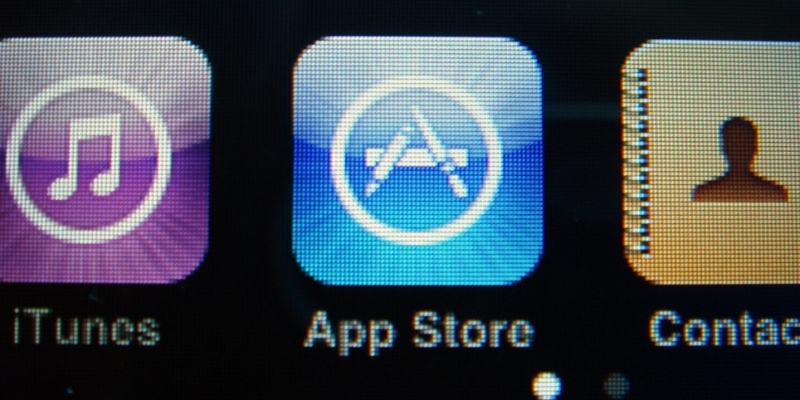 Bitcoin is impervious to Apple’s app store policies,” he said. Cary also doesn’t think Apple’s decision will have any wider-reaching implications. He certainly doesn’t think the move will put a dampener on VC activity in the bitcoin space. Jeremy Allaire also doesn’t think Venture Capital firms will be put off investing in bitcoin companies because of Apple’s harsh stance on digital currency apps. “Quality VC firms are not news-driven in their decisions. Those that are excited about bitcoin are taking a long view and are interested in how the space is going to evolve,” he said. Allaire believes companies can build “outstanding” applications that can be used on iOS in a browser and that these can accomplish 99% of what can be done in a native app. VC activity in the bitcoin space certainly doesn’t appear to be slowing down. Blockchain, BitPay and Bitstamp are all rumoured to be in the process of raising mammoth funding rounds. It’s evident that Apple’s actions have lost it a fair few fans over the past 24 hours. Twitter, Reddit and other forums are awash with negative comments aimed at the tech giant. Cary said his company has received a “tremendous response” from the bitcoin community, in the form of hundreds of supportive comments and messages. He went on to stress Blockchain isn’t giving up and highlighted that his colleagues have already started engineering an HTML5 app that will launch soon on Blockchain.com. “Of course, users can download our Android app anytime – in fact, it’s having a record day. Apple is losing ground across the world and they will find themselves on the wrong side of history here. We’ll just leapfrog them,” Cary concluded. Allaire speculated that there are two possible reasons why Apple has banned bitcoin wallet apps. The first is conservatism – that the company is fearful of the perceived risk that comes with bitcoin. Those on the risk assessment side of Apple’s policy team may be looking at the bitcoin-associated federal indictments, law enforcement actions and money laundering stories that are flying around and decide it’s safest to steer clear, at least for the time being. He doesn’t, however, believe the company will launch its own digital currency, just that it will maintain an advantage in digital payments by blocking bitcoin apps that can be used for sending and receiving funds. Allaire believes that if this were the case, though, the Federal Communications Commission (FCC) would step in to prevent Apple from using the App Store to monopolise the market. For the mean time, Apple is sticking to its guns and making it extremely difficult for bitcoiners to stay loyal to the brand. Something tells me Android is going to see a spike in new users over the coming days.